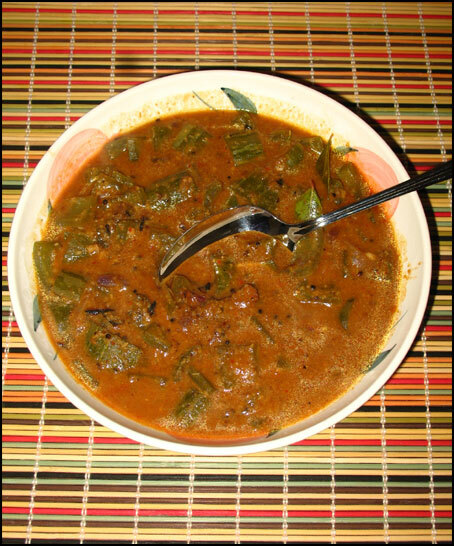 Add snake gourd to pan with spice paste, salt , curry leaves and water. Cook until gravy thickens and gourd is soft. If needed add extra water to cook.